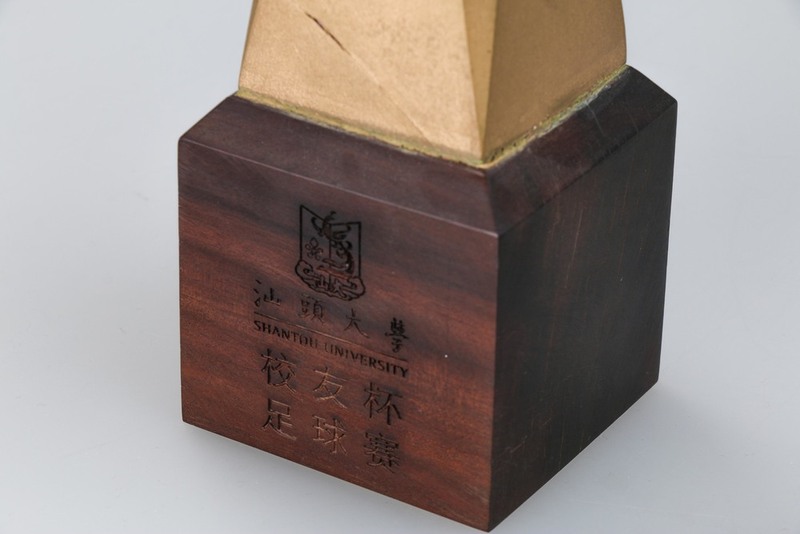 This Football Game Cup has been designed in commission for the Shantou University Alumni Office. The combination of a wooden ebony base plate and stainless steele construction should transport a feeling of strength and power to the Champions holding it. The commission has been made after the client visited the studio and saw the Kan Tai-keung Design Award trophy. The production of the cup was sponsored by Han Chao Water Purifier Company and is permanently displayed in Shantou University.